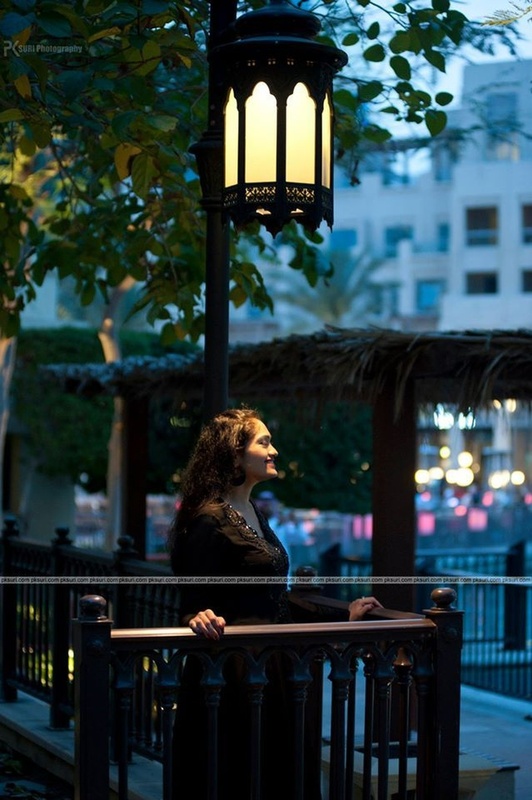 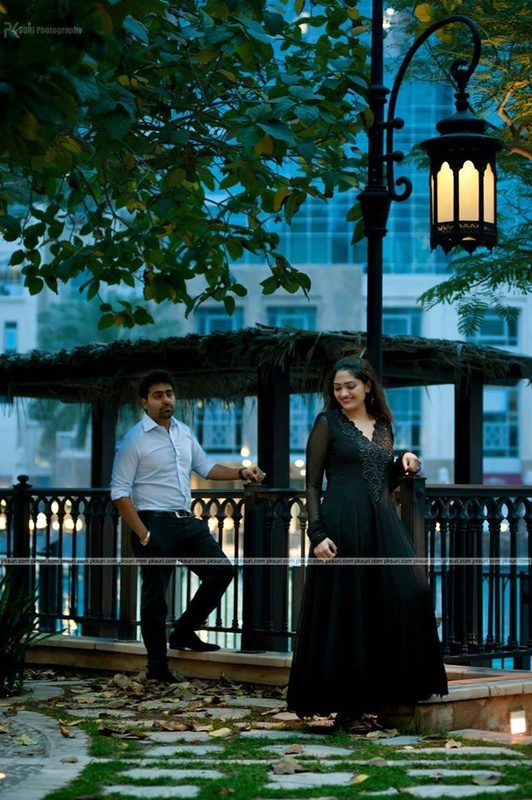 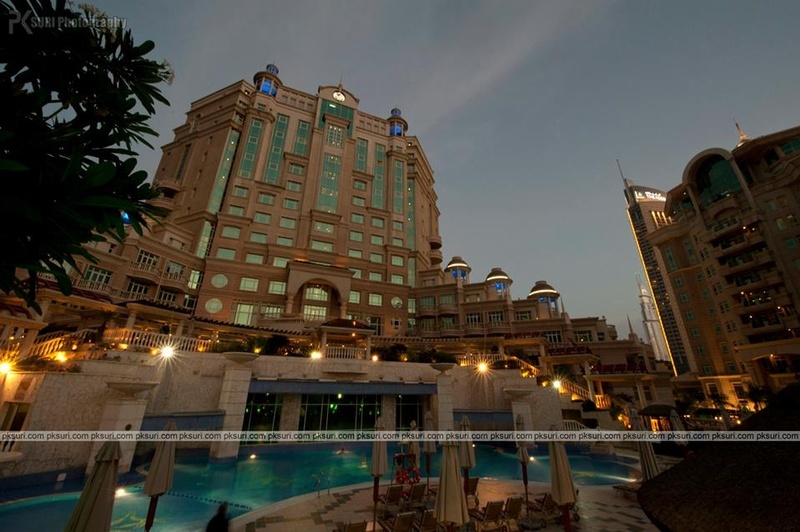 Dubai as an exotic location has stylish and luxurious hotels that offers the ultimate comfort. 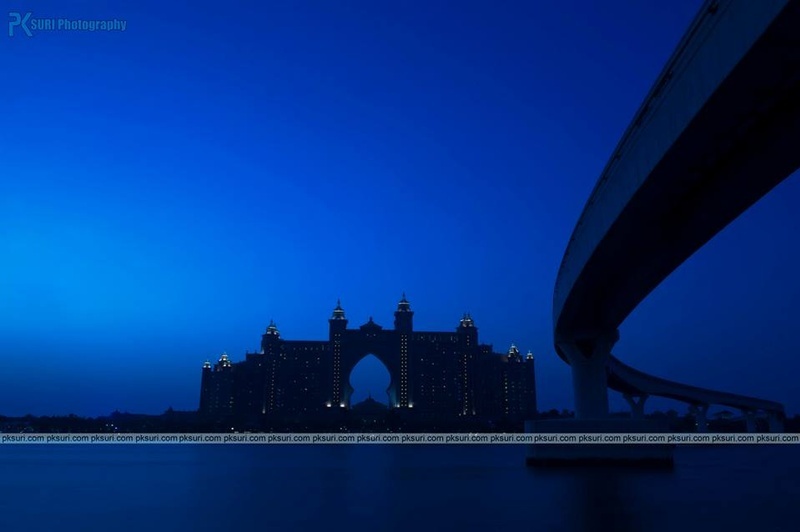 Atlantis, The Palm is one such location that serves royalty right on your platter. 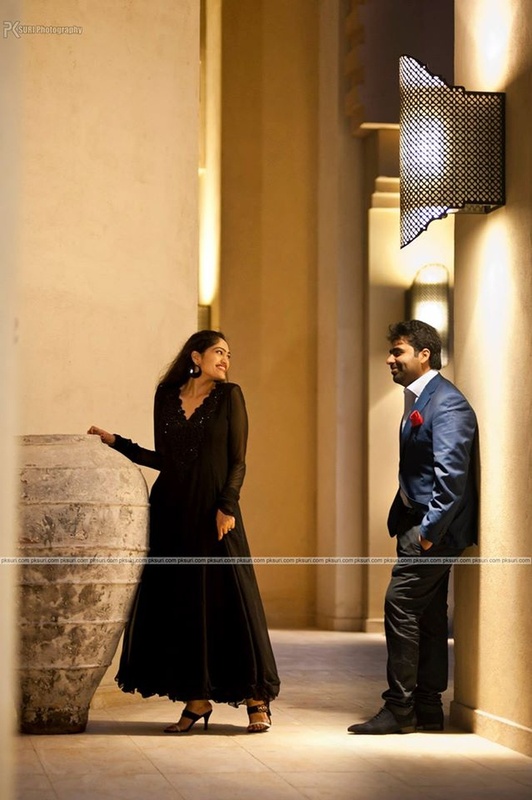 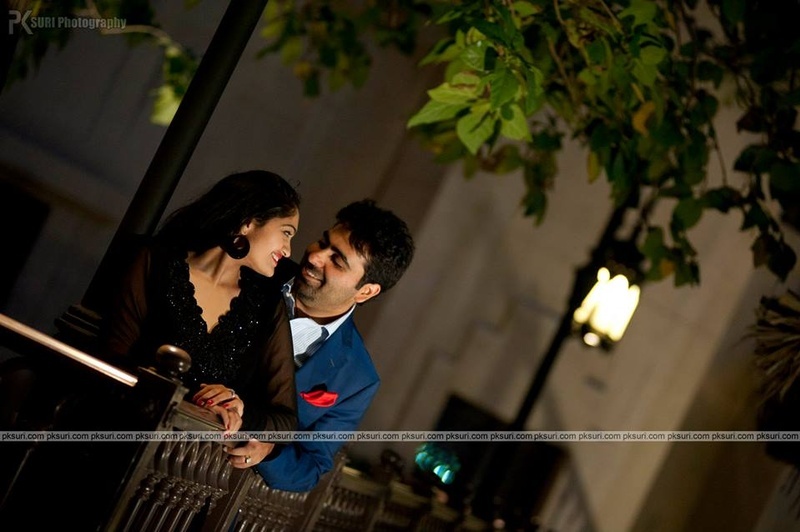 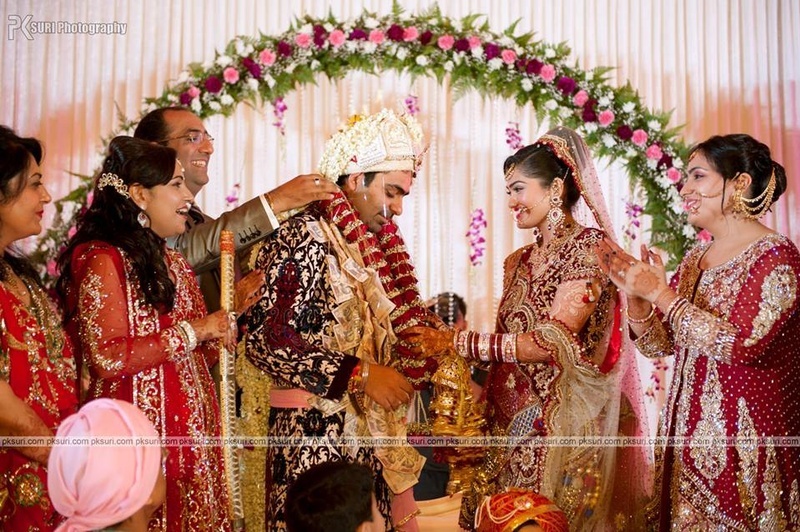 Vidushi and Robin’s wedding took place at this venue and was a marvelous destination wedding experience. 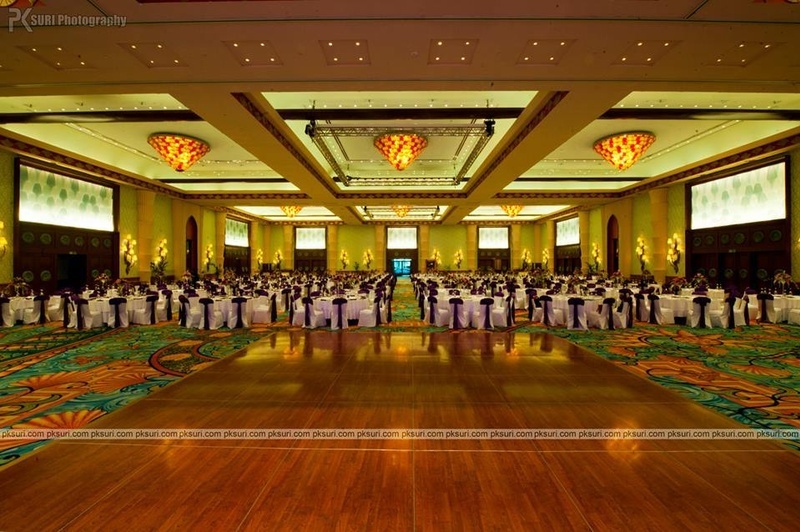 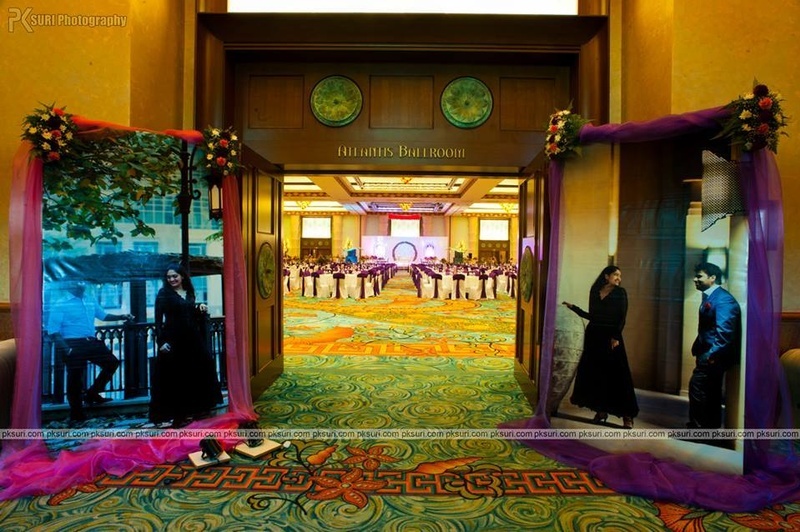 The Roka took place in the Atlantis Ballroom that set just the right atmosphere for the wedding. 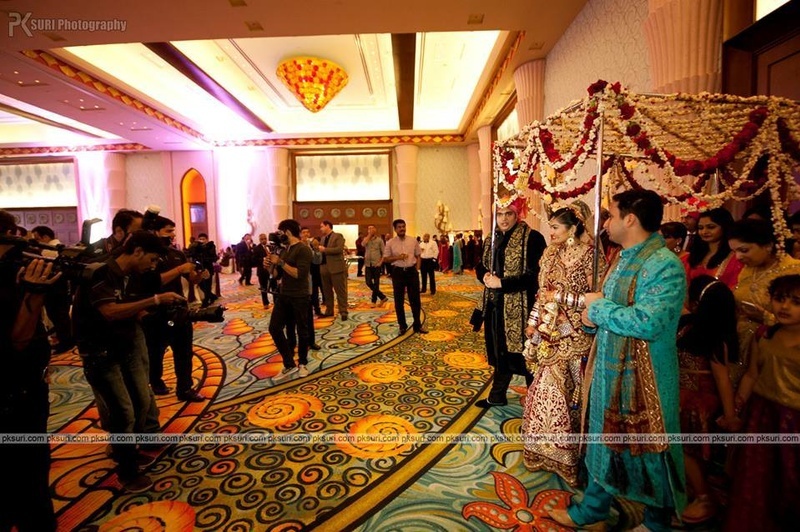 The entire hall had modern and opulent décor with extravagant chandeliers. 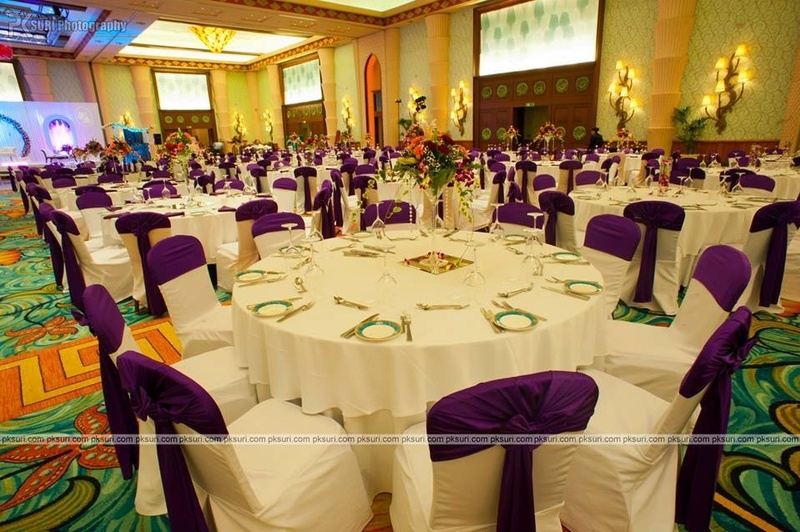 Refined cutleries were placed on a round table overlooking the main stage and had a classy purple and a white cloth on. 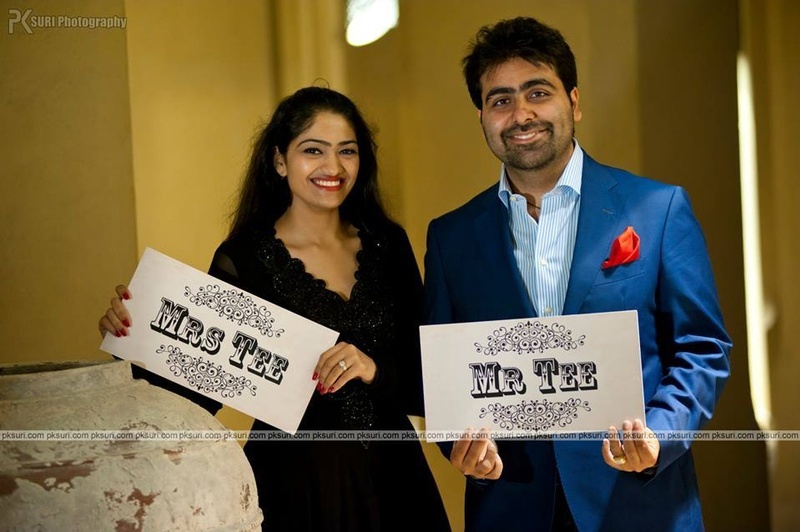 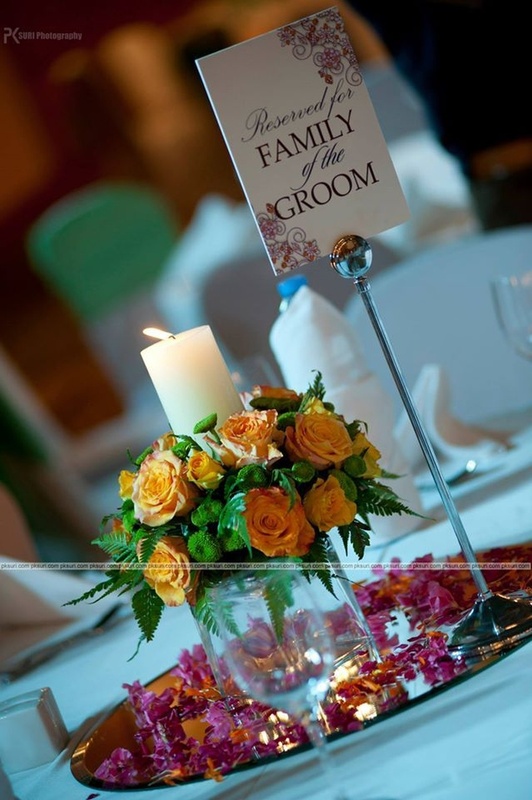 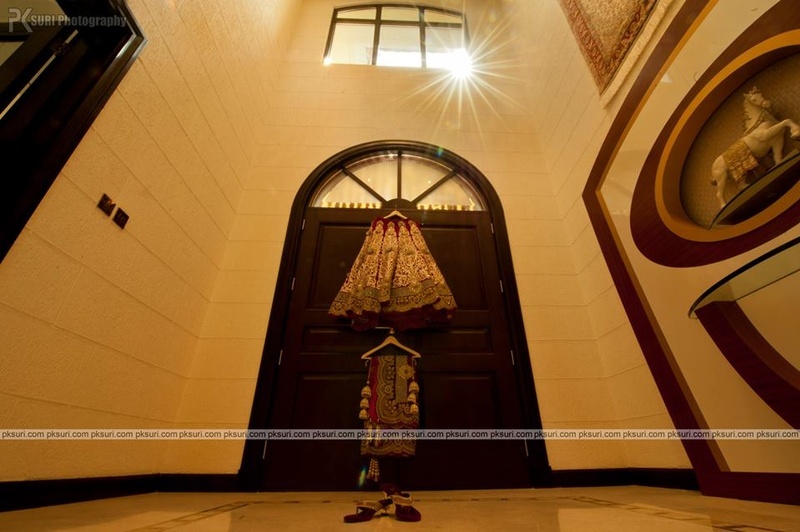 Attractive cutouts of the couple were placed right at the entrance that was bordered with satin cloth and flowers. 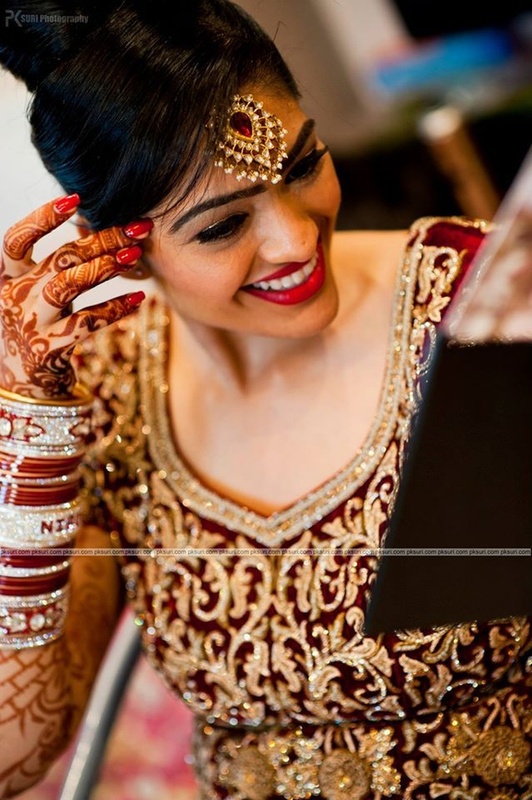 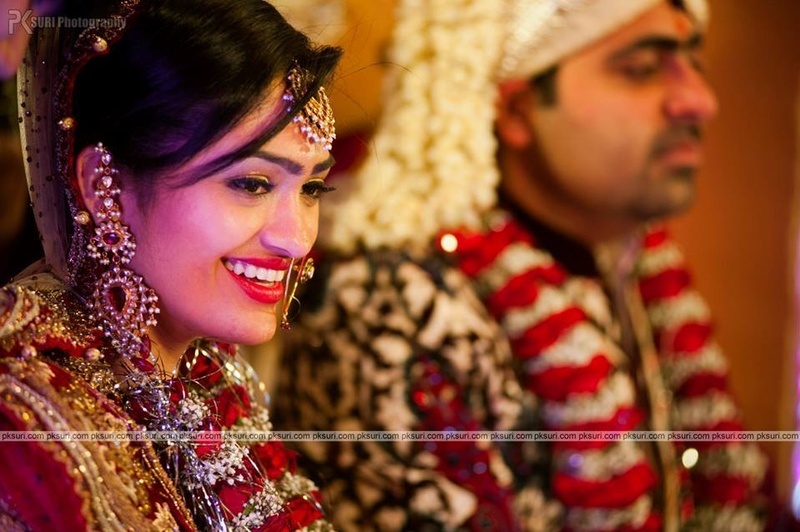 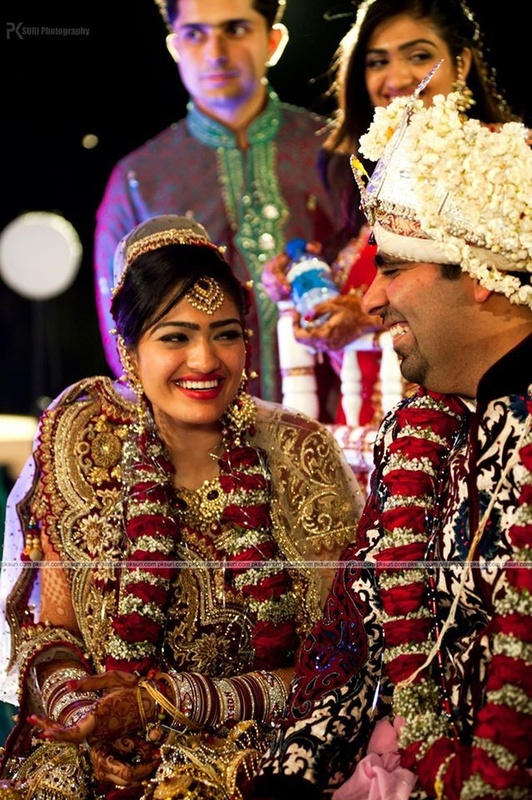 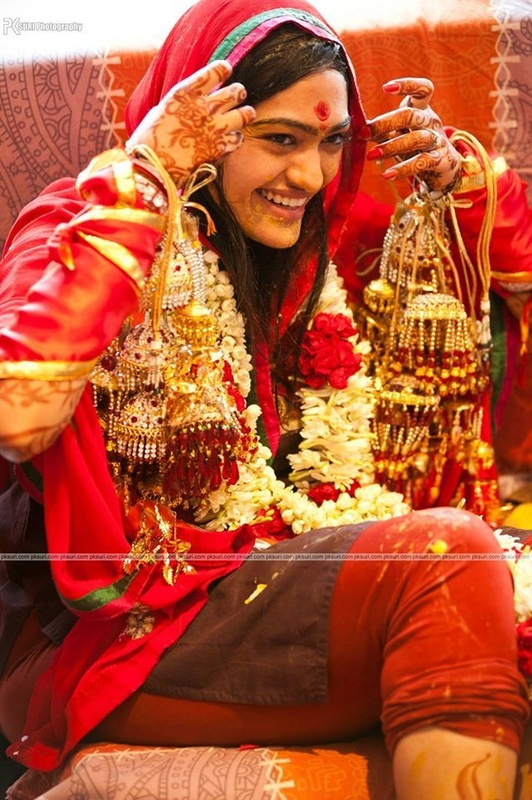 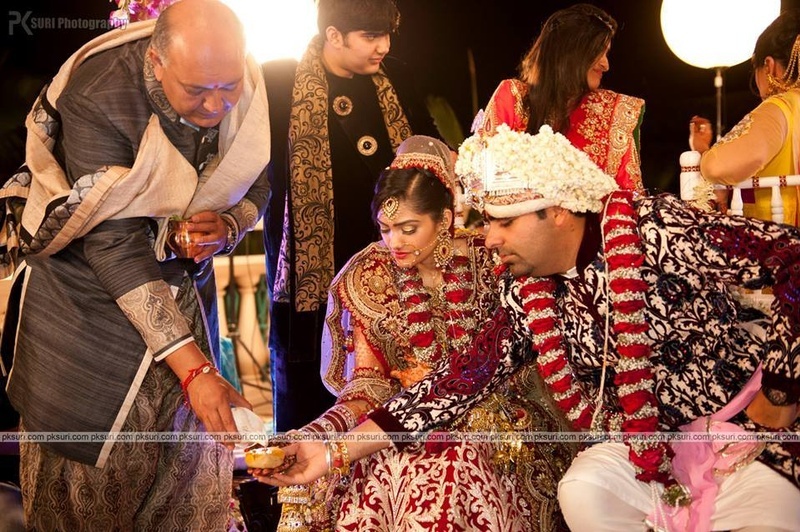 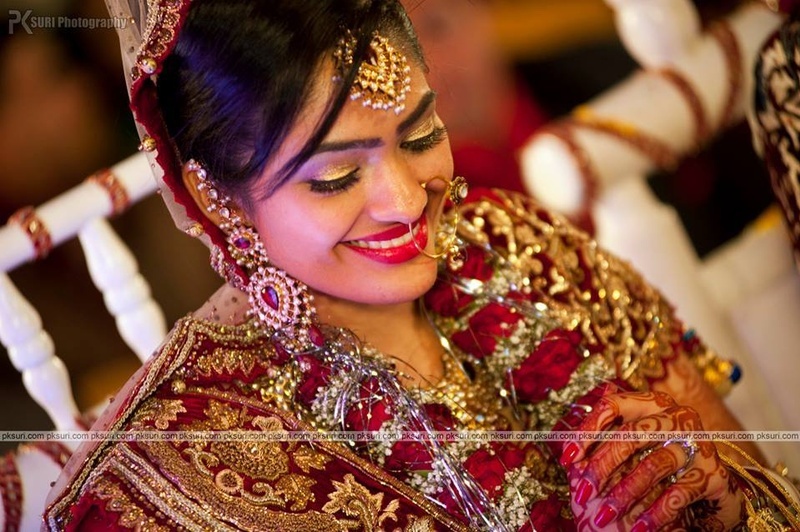 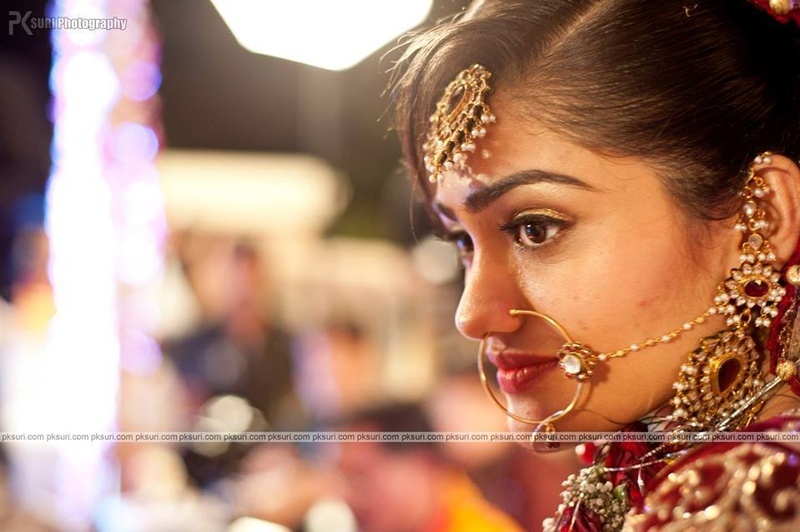 With a floral canopy over her head, the bride entered the hall wearing a heavy lehenga with gold and silver kaliras sparkling on her hand that caught everyone's attention. 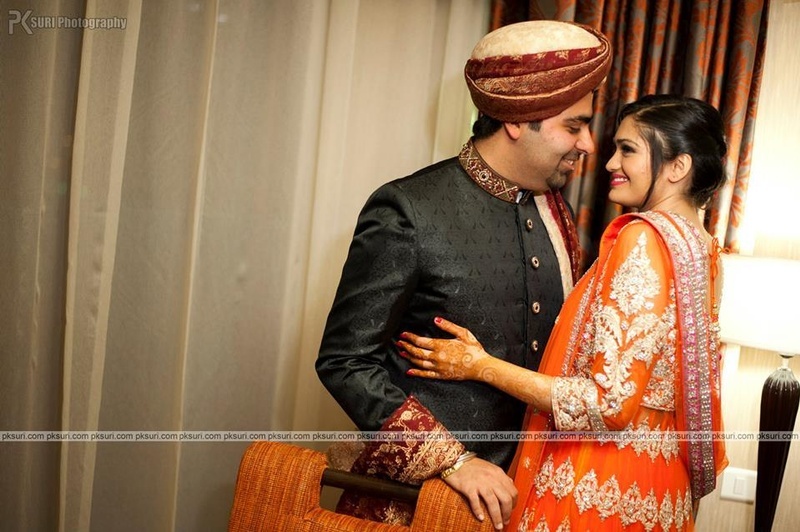 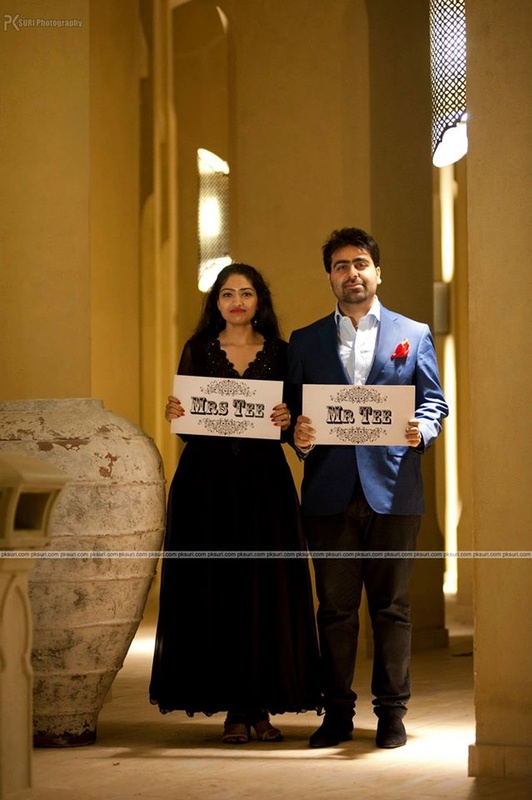 Groom wore a unique dark maroon shervani with a velvet material that looked exceptionally superb on him. 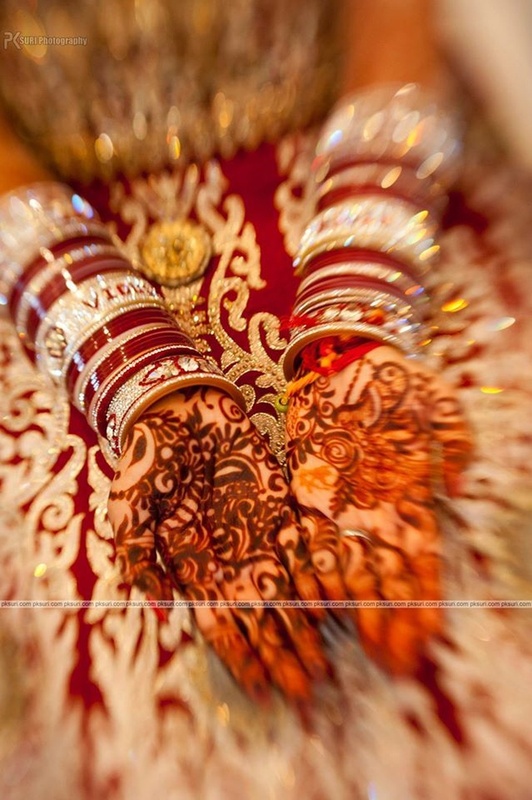 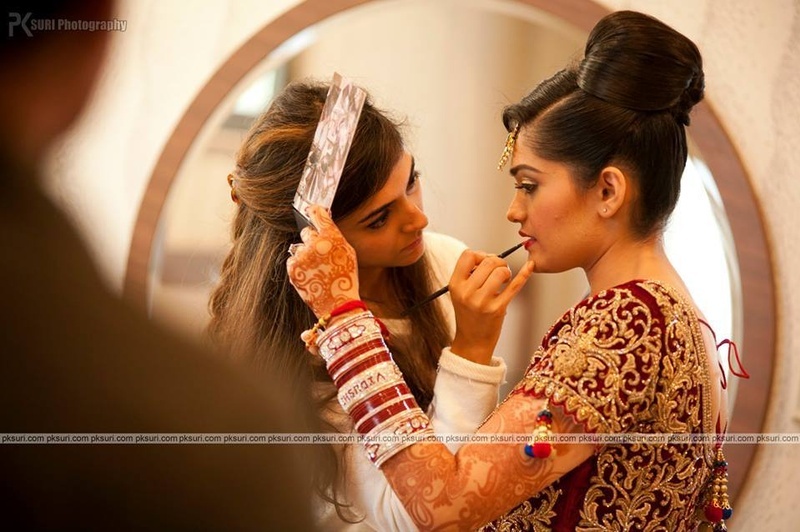 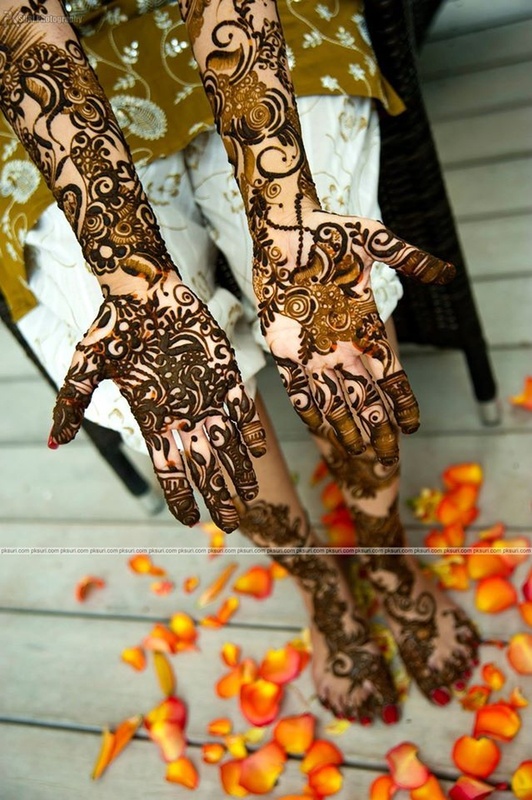 With authentic ingredients of Indian mehendi pattern on her hands and legs, bride’s henna instantly captivates your attention. 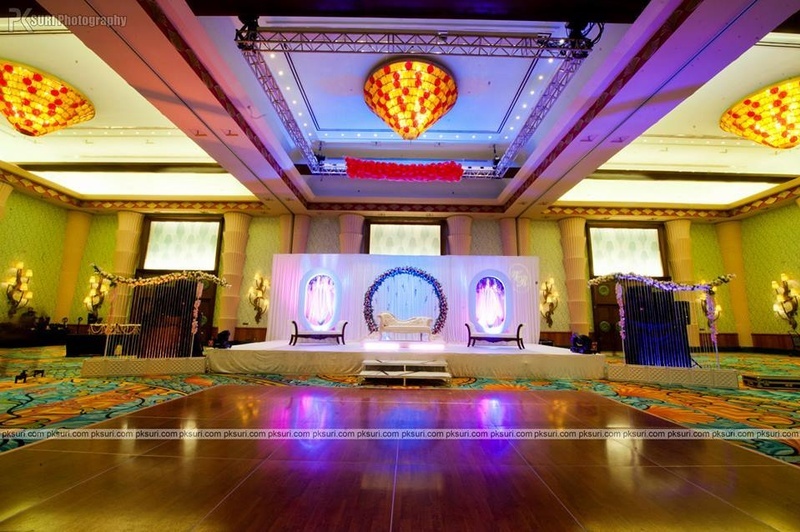 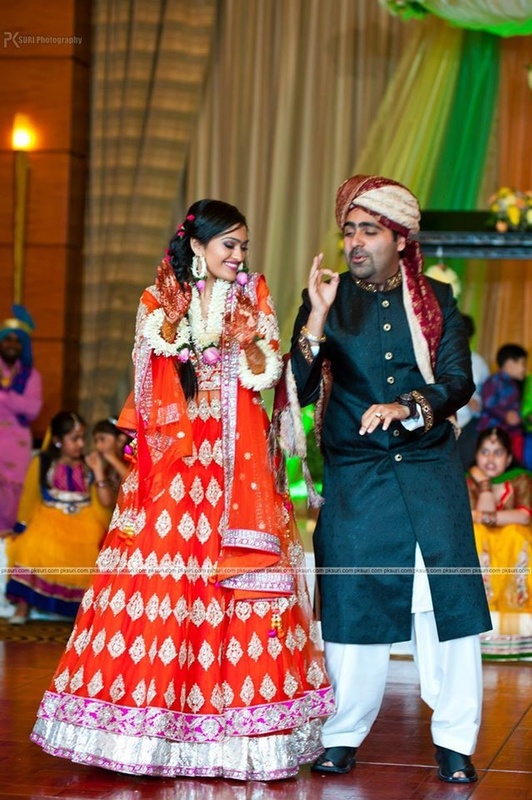 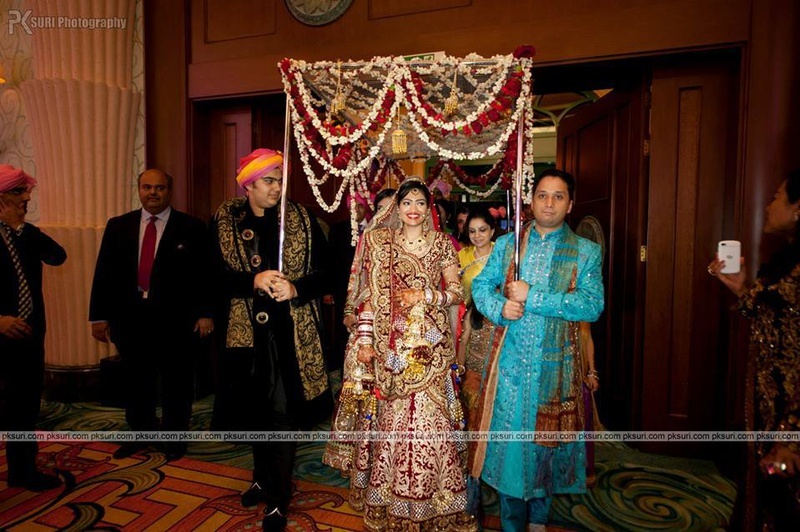 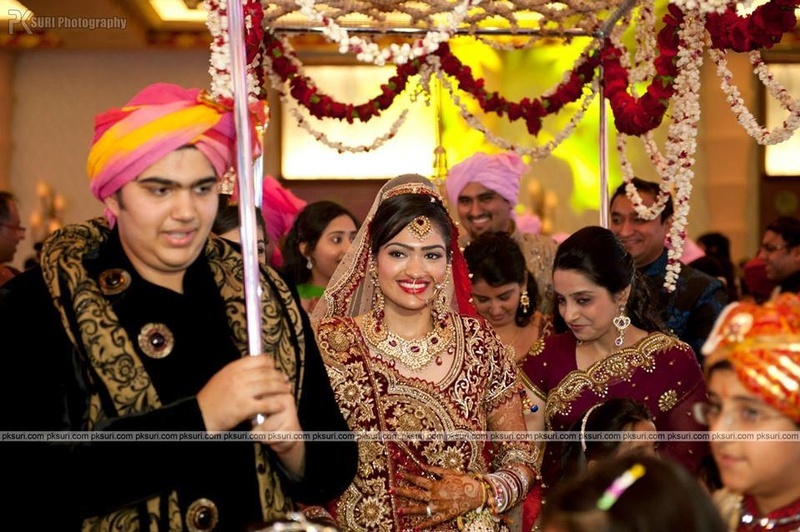 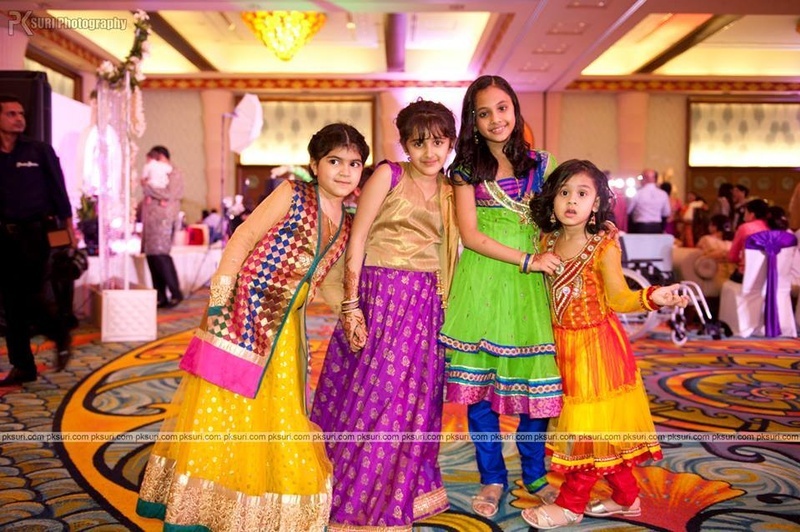 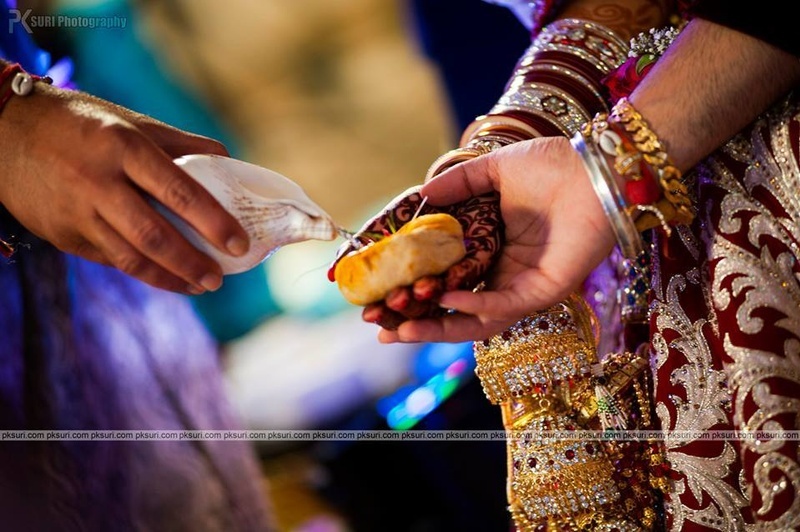 The saat phera was conducted in a mini-mandap which was adjacent to the hotel’s premises. 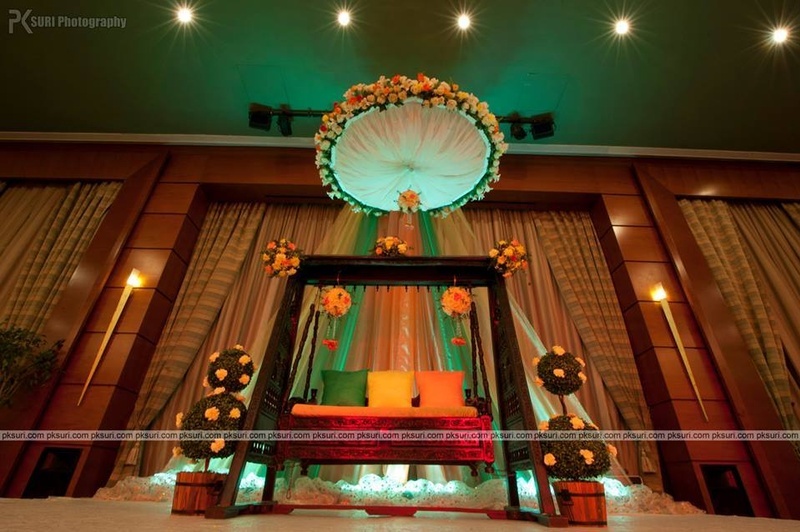 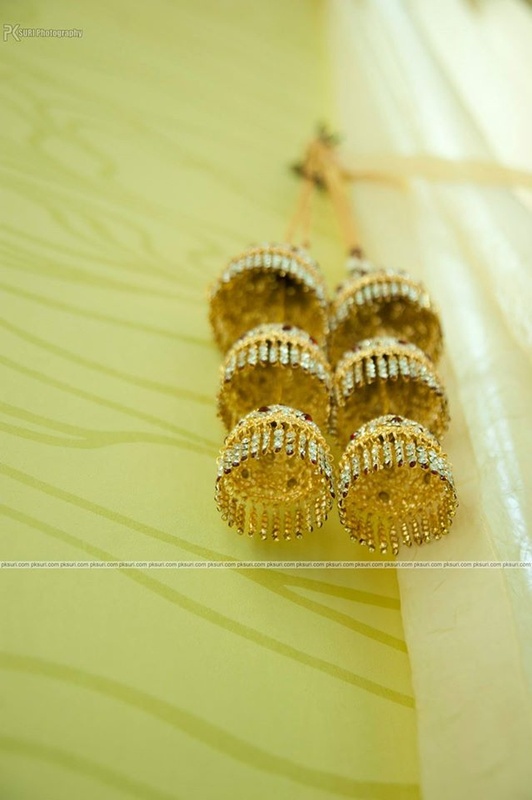 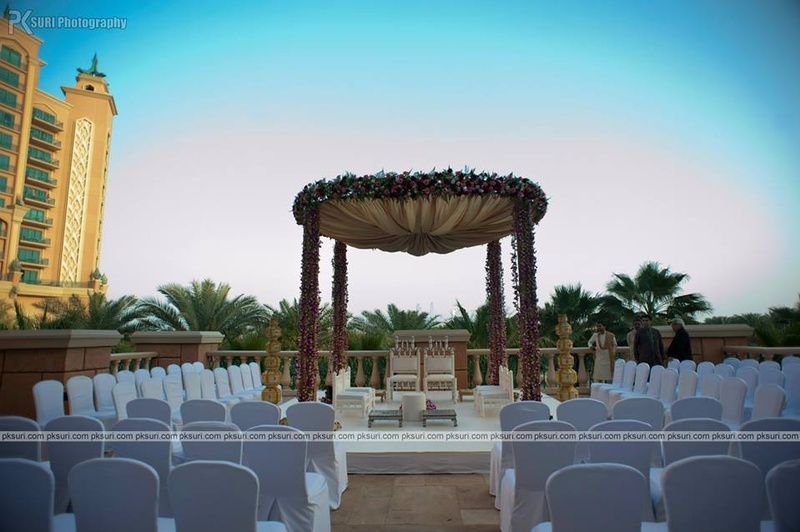 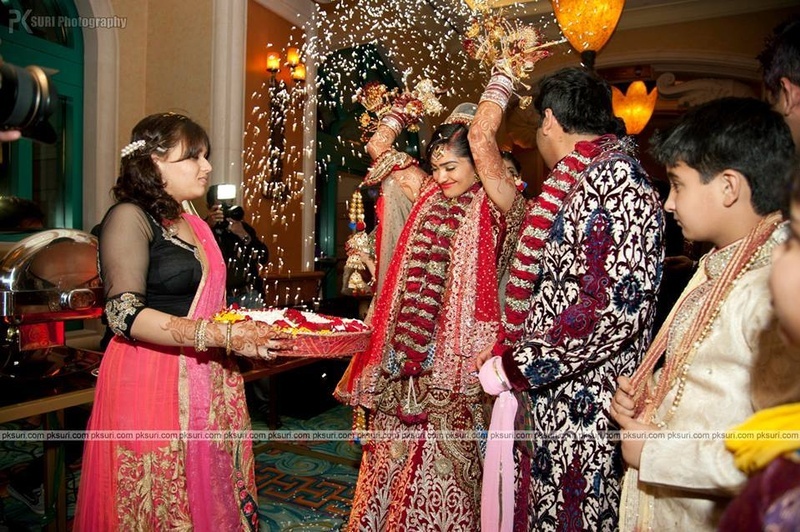 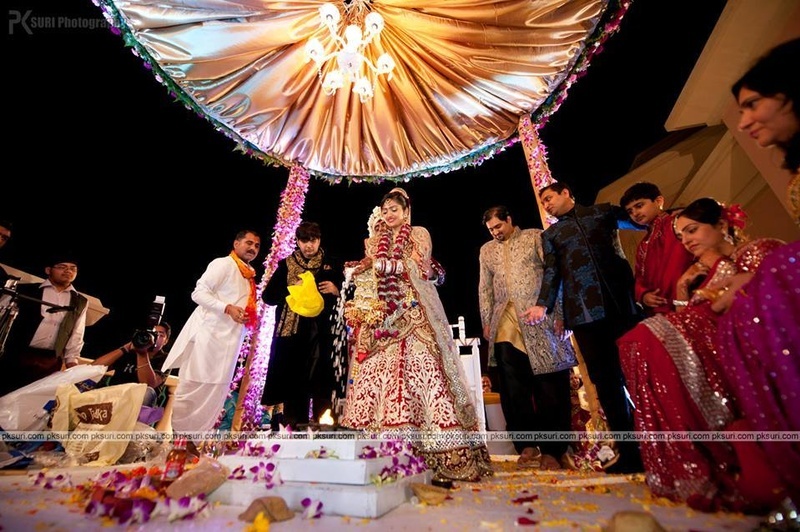 The pole and the border of the mandap was decorated with splendid strings of orchid flowers.